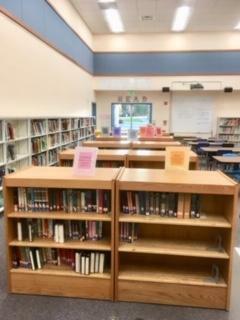 The Mesa Middle School Library exists to promote literacy and research, support the curriculum, and encourage collaboration with teachers to ensure that all students and staff are effective users of ideas and information. * ethical users of information. Our desire at the Mesa Middle School library is to create a vibrant welcoming place where students can find the resources they need for their academic classes, discover the joy of reading for pleasure, and have a place to interact with their peers. To provide such a space for our students we are undergoing a little bit of renovation and refreshing this year. We adding some great new nonfiction that engages students and ties into their academic classes. 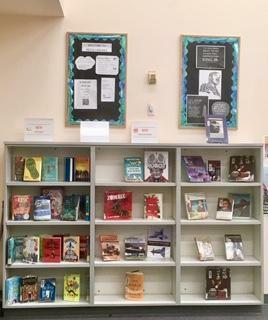 Our fiction books are arranged by genre, to help students find books that appeal to them. We hope in the future to continue to organize and develop the library into a space that encourages and supports both students and staff.